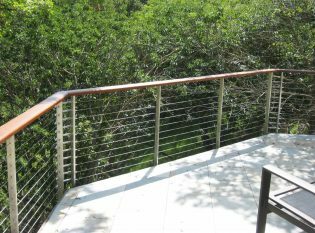 Material and Finish: Stainless steel railing posts with wood top rail. 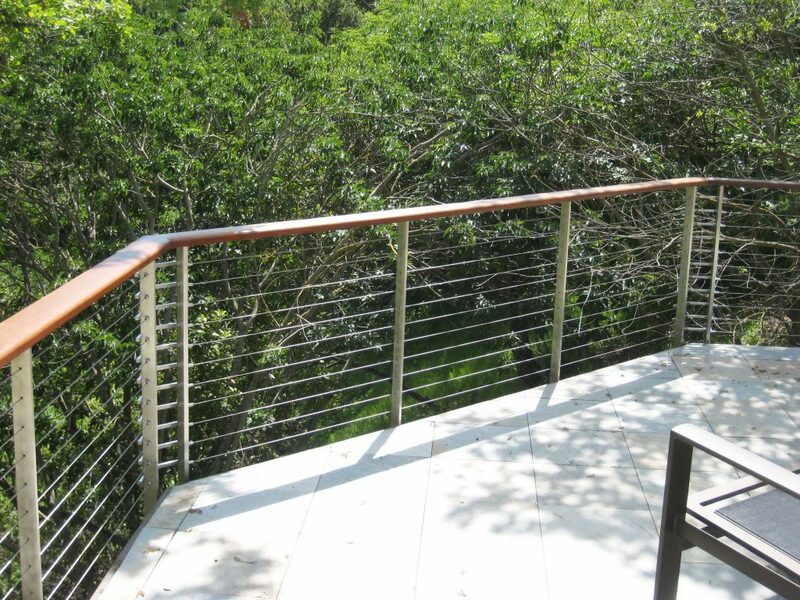 Our client for this project wanted an understated railing system to match their bluestone patio and deck. 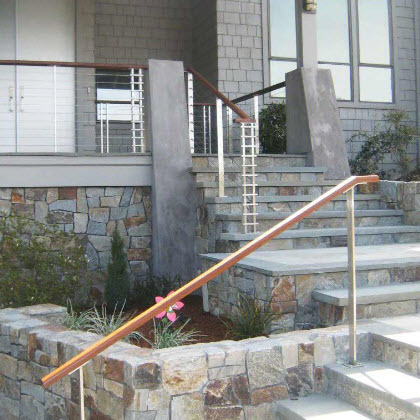 To create an extremely corrosion resistant railing, we opted for stainless steel posts that also matched the home exterior’s metal accents.